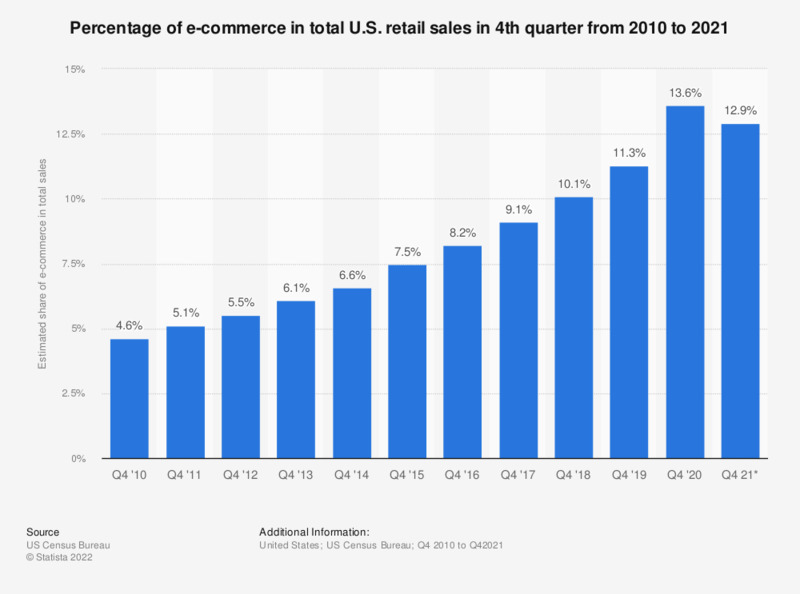 This statistic shows the estimated U.S. total and e-commerce figures of U.S. retail in the fourth quarter of 2010 to 2018. In the fourth quarter of 2010, the share of e-commerce in total U.S. retail sales was 4.6 percent and more than doubled in 2018, where e-commerce sales amounted to 9.9 percent of total retail sales in the holiday quarter. Estimates are based on data from the Monthly Retail Trade Survey and administrative records.